Fashion is something that keeps changing with time. The flirty old polka dots that used to trend in the 80s have been brought along once again with some twists and turns of the modern flair. Similarly, fashion always returns but twists and personal style introduced to the same. So, if you are puzzled about the latest trend and how to carry along the same, you can follow popular fashion bloggers in India. Akanksha is a fashion and lifestyle blogger who started her blog back in the year 2010. The blog comprises of posts dictating things, bits and pieces of everything from beauty and fashion to food. Her perfectly communicative blogs don’t just mention the clothes that you need to wear, but also accessories and jewelry to carry along for that perfect look. 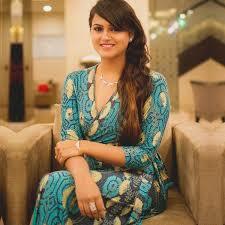 Tanya Mahendra, the blog owner of popular Fashion Oomph, is undoubtedly a popular name among fashion followers in India. She is an avid followed of the latest fashion in the market. Her blogs comprise of tutorials that elaborate on choices for lifestyle and fashion elements. This Delhi-based fashionista created her blog “Vanity No Apologies” in the year 2010. The blog comprises of makeup and beauty tutorials with more than 25,000 followers over social media. When you go through this blog, you get access to latest reviews for fashion products to help you save money on the “YAY” or “NAY” products. The blog also carries a query section for the readers to help you get better answers to all the questions related to fashion. Purushu, a fashion blog maintained by a young and fashion forward NIFT Delhi Alumni, came into existence in the year 2009. He is a fashion contributor for “The Hindu” and mentioned by popular celebrities like Marc Jacobs. He creates stunning looks for the fashion enthusiasts looking for affordable investment. He holds expertise in draping, fashion illustration, creative pattern creation, garment construction, and many more. setter with more than 60K followers. She hails from Punjab and has an ethnic flair to her fashion sense. So whether you are looking forward to a completely new hairstyle, or a budget fashion upgrade, Devina’s blog is something that you should definitely check out. Take insights from her DIY guides and tutorials for fashion forward tips.